XIMACEF 200 mg capsules: cefixime 200 mg 1 cap. XIMACEF 400 mg capsules: cefixime 400 mg 1 cap. 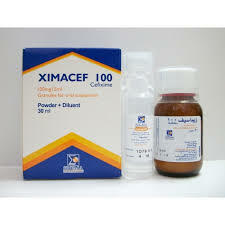 XIMACEF 100 mg cefixime 15 ml suspension in Bottle contains 30 ml- after reconstitution. XIMACEF 100 mg cefixime 15 ml suspension in Bottle contains 60 ml – after reconstitution. XIMACEF is cefixime, a semisynthetic cephalosporin antibiotic for oral administration. XIMACEF is active against most strains of the following microorganisms: Gram positive: Strept. pneumoniae, Strept. pyogones and strept. agalactiae Gram negative H. influenzae, N. gonorrhoeae, B. caterrhalis, E.coli, K.pneumoniae, P.mirabilis, Salmonella sp., Citrobacter sp., Shigella sp. and Serratia sp. XIMACEF is contraindicated in patients with known allergy to cephalosporin group of antibiotics. old have not been established. – Uncomplicated urinary tract infection caused by E.coli and P.mirabilis. – Pharyngitis and tonsillitis caused by S. pneumoniae. – Lower respiratory tract infection . – Uncomplicated gonorrhea caused by N. gonorrhoeae . some gastrointestinal disturbance like nausea, vomiting or mild diarrhoea. Hypersensitivity reactions were reported as skin rash and pruritus. Transient elevation of SGPT and SGOT and alkaline phosphatase. Transient elevations in BUN or creatinine. Headache or dizziness. Transient thrombocytopenia. leukopenia, and eosinophilia. 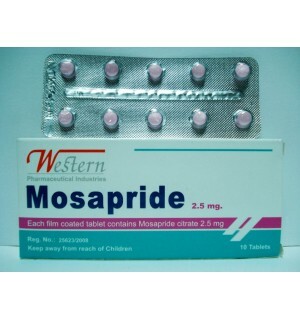 Adults and children over 12 years old (50 kg body weight): 400 mg capsule once daily or 200 mg capsule twice daily. Children: 8 mg I kg I day once daily or in two equally divided doses. Loosen the bottle contents; add water in two portions with shaking after each addition, till the level of mark. XIMACEF 400 mg capsules: one blister contains 5 capsules. XIMACEF 200 mg capsules: one blister contains 8 capsules. XIMACEF 100 mgl 5 ml suspension: Bottle contains 30 ml – after reconstitution. XIMACEF 100 mgl 5 ml suspension: Bottle contains 60 ml – after reconstitution. Sigma-Tec Pharmaceutical Industries. Egypt. SAE.